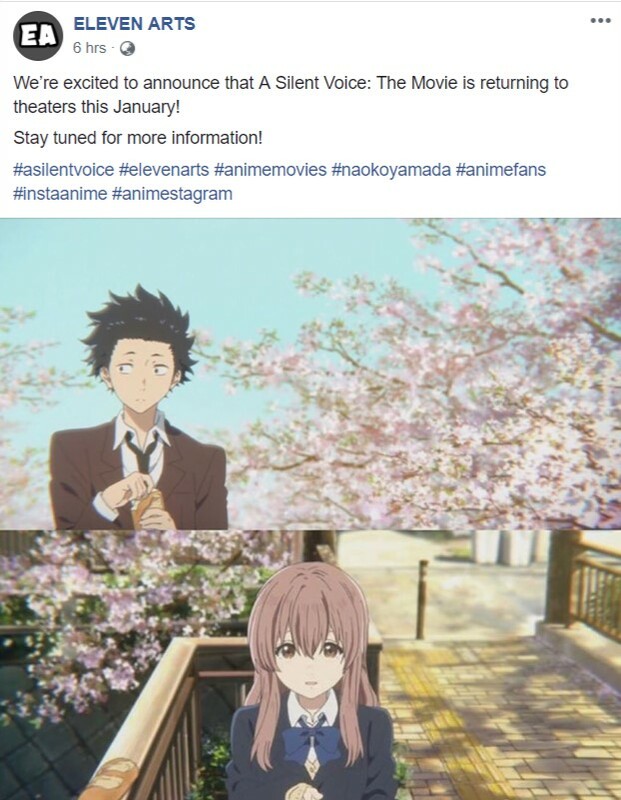 January will see the re-release of A Silent Voice/Koe No Katachi, one of the most critically acclaimed anime movies of the decade, released on the 17th of September 2016 this movie was an instant hit worldwide with it’s 2 hour and 10 minute run time and a 93% on Rotten Tomatoes, it also snagged a 9.03/10 on My Anime List and has to be in my top anime of all time. If you haven’t done so already check out my review of Koe No Katachi where I gave it an A-Class rating, it bordered on S Class but missed it by one point, due to a few reasons. The score, animation, plot and characters are insane and I absolutely loved this movie. On top of that, if you haven’t watched this incredible movie yet (looking at you Devanshu) watch it in cinemas when it re-releases if it does in your area, or go and watch it online here! You won’t regret it, that much I can guarantee!